When I walked into my office yesterday here at the seminary I discovered a shirt bearing the seminary logo waiting for me on my desk. The shirt was a gift from a colleague who is always kind enough to make sure that I have the latest in seminary propaganda fashion. But when I picked it up to admire it I noticed a problem right away. The shirt tag read “Large GG.” I am not sure what the “GG” meant, but I suspect that it was something like “gargantuan giant” since the only way I was going to wear that shirt was either with the assistance of tent poles or with someone else in there with me. It was simply too big. I must admit I wasn’t completely surprised by what happened. Over the years my shirt size has changed. For a longtime I wore a medium, but then all of sudden I noticed that mediums were too small and I had to move up to a large. But then one day I noticed that larges were too big and I was back to the mediums that I had always worn. I suspect there is a conspiracy among the clothing manufacturers since my closet now has a variety of medium and large shirts. This of course presents a challenge for me since, as my wife knows, I hate ill-fitting shirts. It is not unusual for me to put a shirt on and take it off immediately with the comment “well, that’s not happening today.” Sometimes I find the medium a bit too tight and would rather go with the large. Other times the large makes me feel unkempt since it seems to just hang on me. I feel the same about theological labels. Many years ago I would have readily identified myself as an evangelical. But, like the medium size shirts in my closet, I began to notice that it was a bit ill-fitting. It didn’t allow me to move freely in the areas where I needed some space and was more restricting than freeing. Later I thought of myself as a liberal, but that too didn’t seem to fit very well. Like the large shirt, I had to find too many things to help fill out the shirt so it would fit and what I realized is that the shirt/label no longer revealed who I am. Like the shirts, I had begun to find labels to be ill-fitting. Next week I will attend the annual meeting of the Society of Biblical Literature. And like the dance I sometimes do in my closet when deciding what shirt to wear, I will find that the labels other want me to use to identify myself won’t fit. I will spend time in groups or sessions where people proudly proclaim they are liberal (or some variation thereof) and I will realize that the shirt is too large and make me look like someone I am not. I will then spend time with those who proudly proclaim to be evangelical and I will realize that the label is a bit too tight and doesn’t give me the room to move that I need. I have been experiencing this situation for some time. In the past I would go to the conference and come home amazed at the situation in which I find myself. Now I think I have adjusted to at least know what to expect. As I mentioned above, in the end I chose the medium shirt with the hopes that perhaps it would stretch out a bit to fit me better. It’s the same with being an evangelical. I still don’t like nor identify with the label. Evangelical is still too tight for me, but it fits me better than any other label. I suppose what I need is a medium-large. Reports are beginning to filter out about the death of Jerome Murphy-O'Connor (born 10 April 1935 in Cork, Ireland died 11, November 2013 in Jerusalem). A Dominican priest and leading authority on the Aposlte Paul, O'Connor was Professor of New Testament at the École Biblique in Jerusalem, a position that he held since 1967. 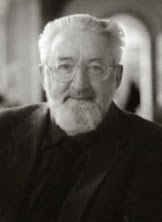 O'Connor is well know among New Testament scholars for his expertise in the the New Testament. He wrote a number of important and helpful books on a wide range of topics including the Apostle Paul, archaeology and the geography of the Holy Land. He will be greatly missed.